The International Film Festival Rotterdam presents its XL edition for its 40th edition this year, and is already unveiling some of its Tiger Awards competition lineup. 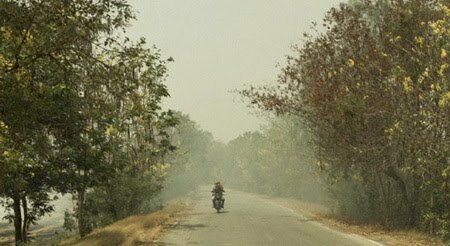 Among the selections teased is Eternity (ที่รัก, Tee Rak), Sivaroj Kongsakul's debut feature. Eternity received support from IFFR's Hubert Bals Fund. There's also Wisit Sasanatiang's The Red Eagle, and Wisit will serve on the jury for the Tiger Awards competition alongside Argentine filmmaker Lucrecia Martel, former IFFR director Sandra den Hamer, Romanian filmmaker Andrei Ujica and Sonic Youth musician Lee Ranaldo. Anocha Suwichakornpong, who won a Tiger Award for her debut feature Mundane History will also be back in Rotterdam, serving on the jury for the Tiger Awards Competition for Short Films. Her latest project, the all-female-director short-film trilogy with China's Wang Jing and Singapore's Kaz Cai, Breakfast, Lunch, Dinner, will also be shown. IFFR runs from January 26 to February 6. Are they or aren't they? Yes or No?